When Jeff and Sandra Dermott founded this company in 1968, Jeff was actually a bread delivery man looking to expand beyond loaves and rolls. And expand he did. Bread was quickly taken off the table as demand for painting and decorating boomed, allowing his business to flourish across Christchurch. Throughout the ‘70s and ‘80s, Jeff and his ever-growing team (including first and star employee, Fred) played a large part in the city’s expansion and commercial building boom. Jeff Dermott Painting and Decorating were part of some of the largest contracts including The Park Royal (then, The Crowne Plaza), Durham Towers (then Copthorne, Durham Street) and the Christchurch Hospital redevelopment. 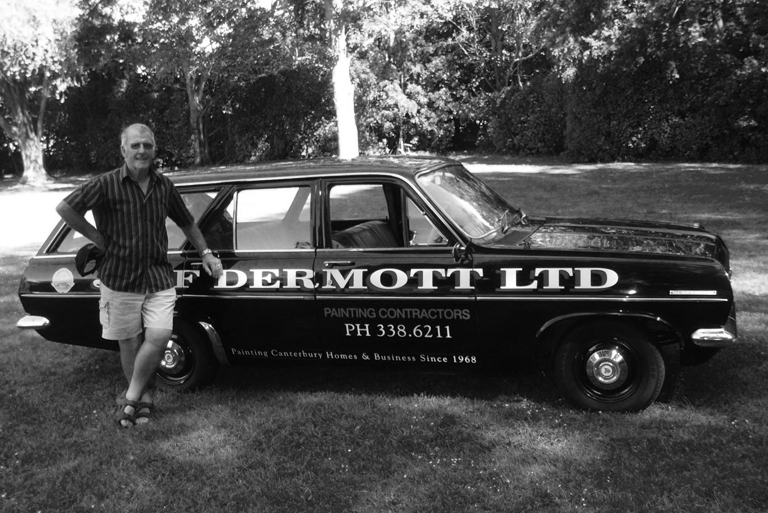 Jeff opened Jeff Dermott Ltd in 1969 and has been an inspiration to all even into his retirement. As the business grew, so did Jeff and Sandra’s family and their son, Darrell, soon joined the ranks. Alongside his father, he helped diversify the business, ensuring they stayed at the forefront of painting technology and specialist coatings. 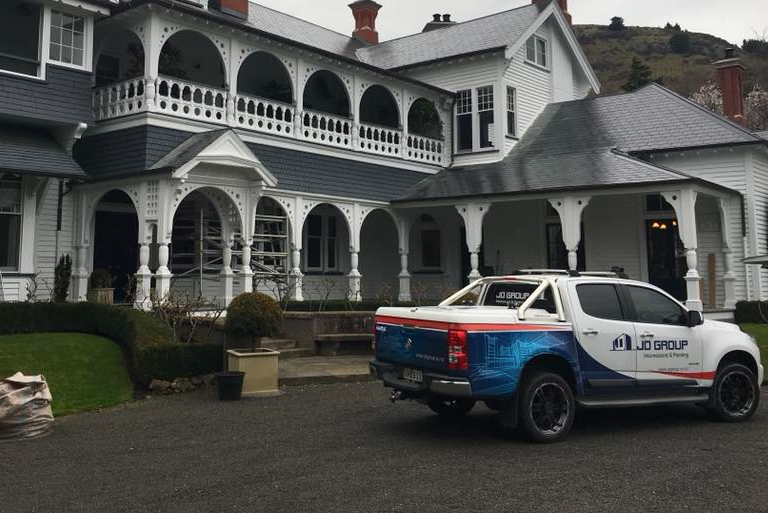 When the Canterbury Earthquakes hit in 2010, Jeff Dermott Painting and Decorating became a main contractor for accredited repair work through EQC and EQR, swelling to more than 100 staff at times. Now, in post-quake Christchurch we continue our work under the guidance of Darrell. With our own Builders, plasterers and crack injection team, we are ready to pick up anything at anytime. 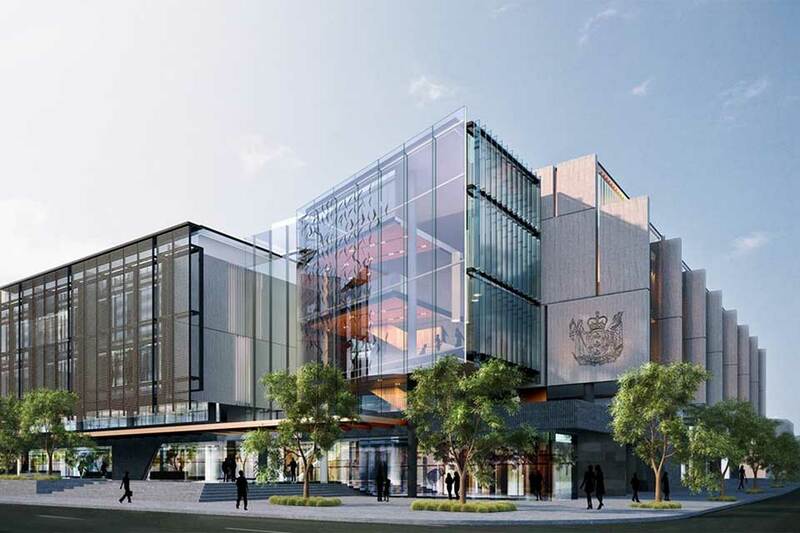 We have also, again, been involved in some of the biggest anchor projects in the rebuild, including the CBD shopping precinct, The Crossing, the hospitality precinct on Oxford Terrace, and the Justice and Emergency Services Precinct on Lichfield Street. In more recent times we have expanded to the Auckland market, where we were quick to jump on large projects there, too, including the Alexandra Park urban village in Epsom. After over 50 years in the business, the Dermotts have seen it all – but the same philosophies continue to drive them: At the heart of everything is a family business committed to quality.